In his letter Ordinatio Sacerdotalis, Pope John Paul II stated: "Wherefore, in order that all doubt may be removed regarding a matter of great importance, . . . I declare that the Church has no authority whatsoever to confer priestly ordination on women and that this judgment is to be definitively held by all the Church’s faithful. " With that declaration, the question of women’s priestly ordination in the Catholic Church was effectively closed. While the Church’s position is clear, many priests, religious, seminarians, and lay ministers search for a way to answer questions regarding the Church’s teaching. 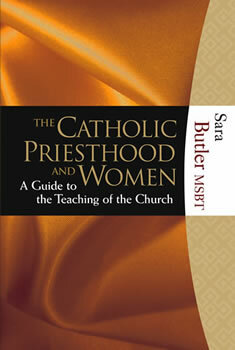 In The Catholic Priesthood and Women: A Guide to the Teaching of the Church, Sister Sara Butler attempts to answer those questions through a close examination of the Church’s teaching on the ordination of women to the priesthood. In response to a call for a greater articulation of the Church’s position, Sister Butler seeks to both clarify and defend the Church’s teaching as well as explore why so many have struggled to accept it. The Catholic Priesthood and Women: A Guide to the Teaching of the Church successfully explores the complex and fundamental questions surrounding the ordination of women to the priesthood for anyone interested in a deep examination of this issue. Sister Sara Butler, MSBT, is currently a professor of dogmatic theology at St. Joseph ’s Seminary in New York. In 2004, she became the first American woman appointed by Pope John Paul II to the International Theological Commission. She holds a PhD in systematic theology from Fordham University, her STL from University of St. Mary of the Lake/Mundelein Seminary, and an MA from The Catholic University of America. She has written and lectured extensively on the subject of the ordination of women.